Never heard of an amphora? If not, you wouldn't be alone, particularly when taken in the context of modern day brewing. They are large clay vessels once used regularly for fermenting wine and, on occasion, beer. As craft beer culture has fired up experimentation globally and brewers have looked for new flavours and textures, a tiny number have dipped into the history books and brought amphora into their homes. As we wrote about in this article, perhaps the best known is Italy's Birra del Borgo but, on a corner of Smith Street, you'll find The Craft & Co using clay for one of its core beers too. 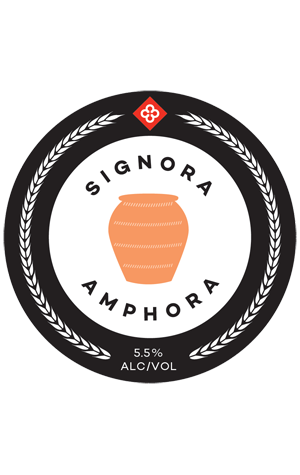 The beer is Signora Amphora and is a rather delicate affair. Certainly, if you're going in expecting to find clay like characters, think again. Instead, the brewers use a light wheat beer as the base, with the outcome a beer that mixes light, almost pilsner like pale malt sweetness with rose characteristics and soft spices.